Looking for something special this Valentines, why not visit us at ely and sample local produce, specialised beers and some of the best wines in the world! For Valentines we are offering a 3 course set dinner menu for €35 with a complimentary glass of Le Contesse Rose Prosecco. 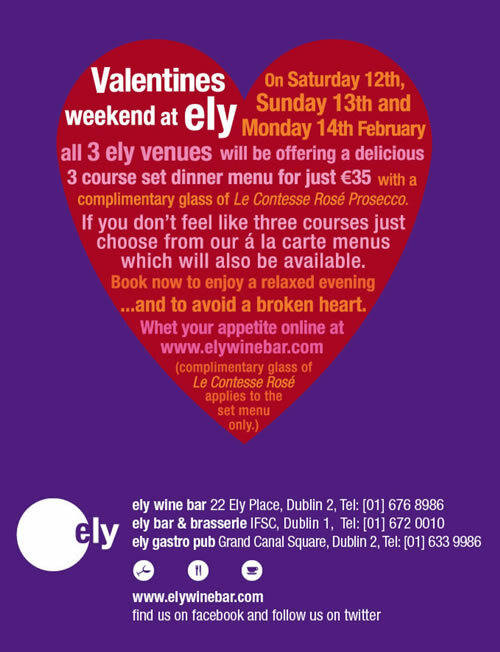 Win dinner for 2 at ely!